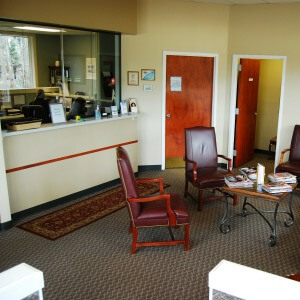 Everything about Choice One Dental Care of Newnan is about making our patients comfortable. Our office is decorated in soothing colors. You’re a member of our family from the moment you walk in, and we want you to feel at ease when you arrive. Sharon and Kim, our welcoming front desk team, are ready to greet you and help you feel relaxed. They’ll give you a tour of the office, introducing you to other members of our team and making sure all of your questions are answered. There’s plenty of time allowed for you to fill out paperwork, but we can also email these forms to you ahead of time if you’d prefer. A Keurig® machine and bottles of water are available to you. We like to check your insurance coverage ahead of time and will inform you of all payment options available. You’ll meet Dr. Galbo, who will thoroughly evaluate your oral health. X-rays may be taken with our advanced 3D Galileo machine. If you need further treatment, we’ll create a plan with you and get them scheduled. Find out what we can do to improve your smile. Contact us today! Free parking is available, and Dr. Galbo is in-network with Aetna® and Guardian® insurance plans.